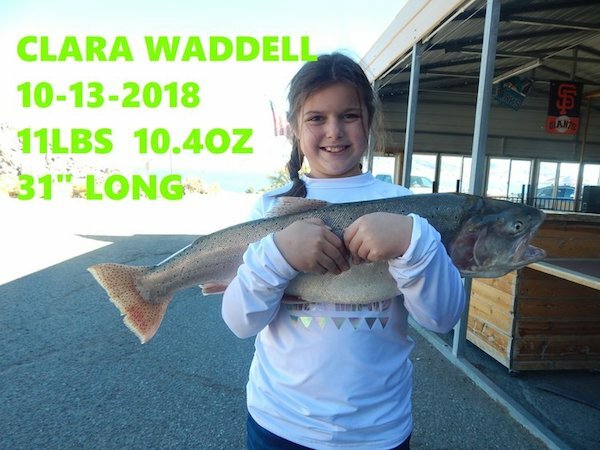 Nice catch Clara! 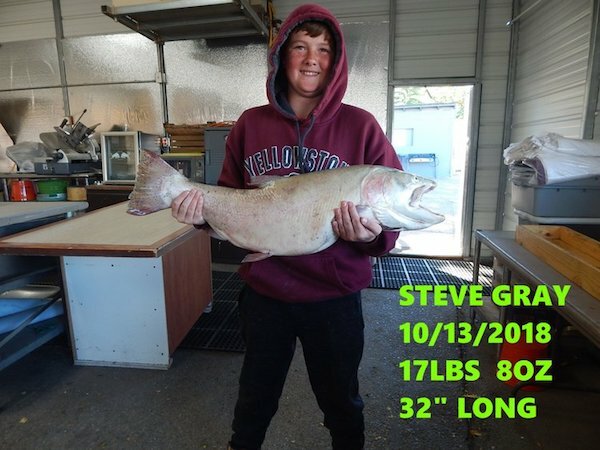 11.65 pounds and 31" long Cutthroat catch for this young angler. The staff from Crosby Lodge checked in today with an update from Pyramid Lake in Sutcliffe, NV. 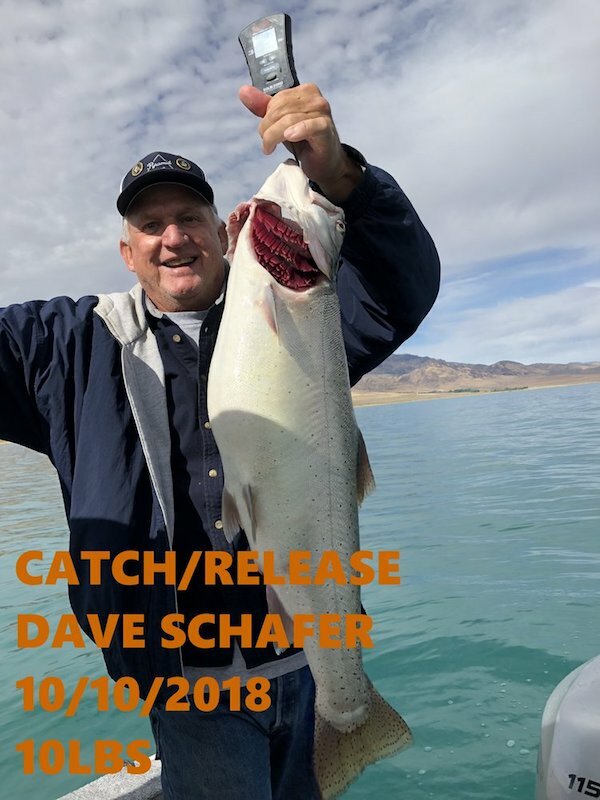 Check out the four photos taken at Pyramid Lake on October 13, 2018. 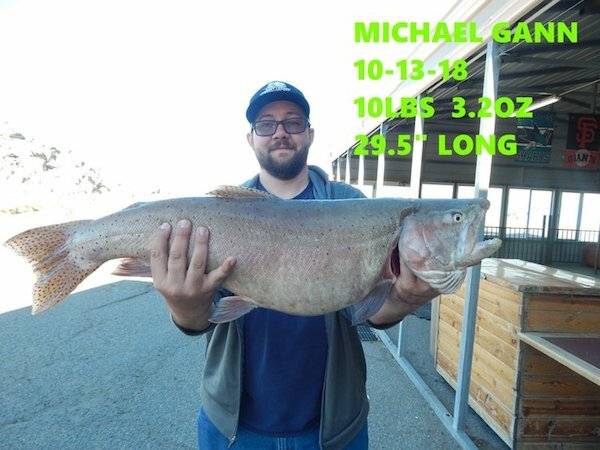 Michael Gann 29.5" long and 10.2 pound Cuttthroat catch. 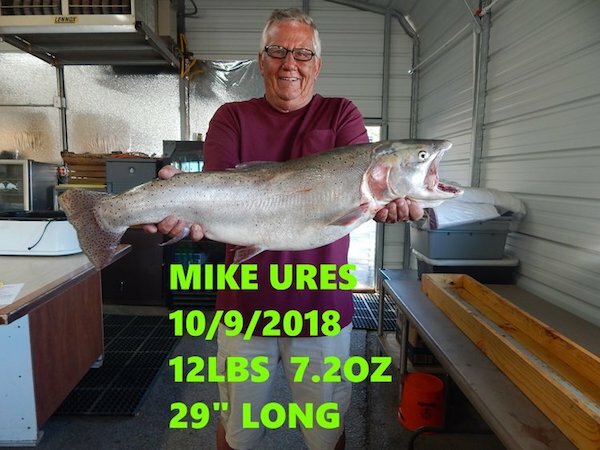 17.5 pound and 32" long Cutthroat catch for Steve Gray. 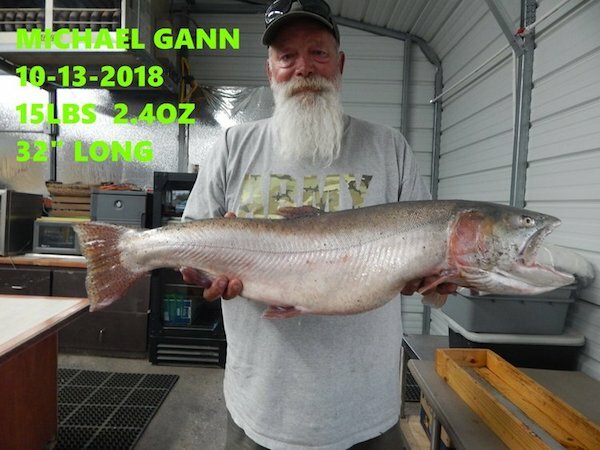 Michael Gann caught this 15.15 pound Cutthroat measuring 32"long.